Drive the car or start the engine while update. Update time can take up to one hour. 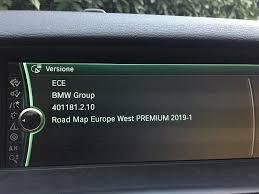 You can easily find out which CIC map type you currently have by pressing button ‘Nav’ on iDrive, then select ‘Options’, and click ‘Navigation System Version’ where you will see something like : "ECE BMW 1.5.20 Road Map Europe PREMIUM 2009-2"
The FSC code is tied to the vehicle VIN and to the exact map version. If you get the wrong VIN or map version, the FSC code will not work, and we will NOT be able to refund you as we will have already obtained the FSC code. For retrofitted head units we need the donor VIN/CHASSIS number. How to choose your maps? Get into your car, push the Nav button, then the Option button on your controller. Scroll down to the last item in the menu called “Navigation System Version“. It will display the currently installed maps. 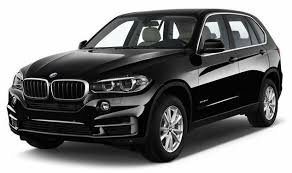 For example: Road Map Europe Premium 2014-1. In this case the car needs the PREMIUM map version. No other version will work on this car (MOTION, MOVE, NEXT etc.) so make sure you choose the right version for your car.All you need is a USB stick to copy the purchased map files. You will receive instructions on how to copy and update. !!! IF YOU NEED PREMIUM MAPS PLEASE CHECK !! !